Apple is generous with information when it releases a new product, but some of those product’s details may be difficult to ferret out of Apple pronouncements and presentations. Confounded by the what, how, why, and where of the new iPhone 5? We spare you from having to waste your time digging by answering your every iPhone 5 question with clarity. When can I get the new iPhone 5? 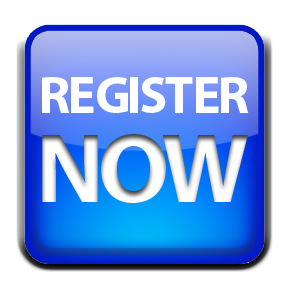 You can start pre-ordering the phone online as of 12:01 PT a.m. on September 14. The phone will be available beginning September 21 in the U.S. Doors at Apple Stores will open at 8 a.m. local time on that day. In addition to this country, the new iPhone also goes on sale in Canada, UK, France, Germany, Australia, Japan, Hong Kong, and Singapore on September 21. Apple says that the iPhone 5 will be available in 20 more countries starting September 28, and in 100 countries by year’s end. Which carriers are offering the iPhone 5? We’re going to assume you’re asking that question from within the borders of the U.S. (And if not and you’re wondering which telecoms offer LTE outside the U.S. see this Apple document.) If that’s the case, then AT&T, Sprint, and Verizon are your wireless service providers for nationwide coverage, just like they were when the iPhone 4S debuted. Note that the Big Three are going to want you to sign a two-year service agreement. Assuming you’re not obligated to stick with your existing carrier, you should check the coverage maps for AT&T, Verizon, and Sprint—particularly for LTE coverage—to get a sense of which carrier best serves your needs before you commit to them for the next two years. Any no-contract carriers or regional carriers? Yes: Cricket, which jumped into the iPhone fray earlier this year with no-contract, prepaid service for the iPhone 4 and 4S, will be doing the same with the latest iPhone. The catch is, you’ll have to wait, though not terribly long. Cricket will begin offering its no-contract plan for the iPhone 5 on September 28. That’s a week after AT&T, et al start selling the phone. Note that since Cricket can’t count on two years of service fees from you, it makes you pay up for an unsubsidized iPhone. The company hasn’t announced pricing yet, but in the case of the iPhone 4S, that was $500 for a 16GB model. Can I use FaceTime over cellular with the iPhone 5? It’s up to your carrier. Sprint and Verizon place no limits on the feature, which lets you video chat even when you don’t have a Wi-Fi connection. AT&T requires that you purchase a Mobile Share plan to use the feature. Can I talk and use data at the same time on Verizon? “iPhone 5 was designed to allow simultaneous voice calling on the Verizon Wireless network while browsing the Internet over Wi-Fi,” Verizon spokesperson Brenda Raney told Macworld. “This is no different from the current iPhone 4S.” So it seems that even if you’re using Verizon’s cellular network (including its LTE service) you can’t use voice and data at the same time. How much does the iPhone 5 cost? How many models are there? 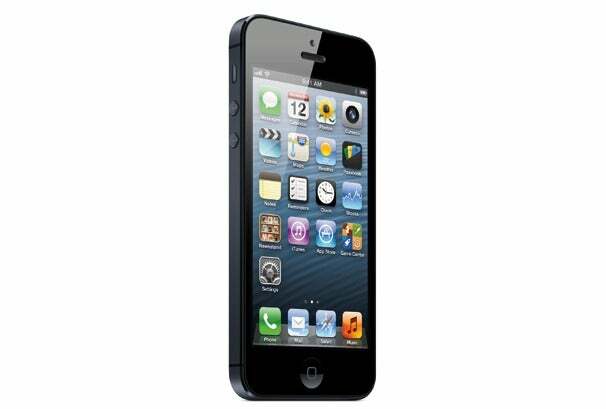 Like the iPhone 4S, the iPhone 5 comes in three different capacities, available in two color options. The colors are just a smidgen different this time around: There’s black with a slate back, and white with an aluminum silver back. Pricing and storage options match the iPhone 4S: $199 for 16GB, $299 for 32GB, and $399 for 64GB. Of course, all those prices require two-year carrier contracts. At this writing, Apple hasn’t yet offered details on pricing for an unlocked iPhone 5. The unlocked iPhone 4S cost $649 for the 16GB version, $749 for 32GB, and $849 for 64GB. Great question. You can check your upgrade eligibility at Apple’s website. AT&T customers can also dial *639# from their iPhones to receive a text message with upgrade details. Note that if you bought an iPhone 4S at the time of its year-ago release, those $199-$399 pricing options aren’t likely to be available to you; you’ll have to pay full price for the new phone. 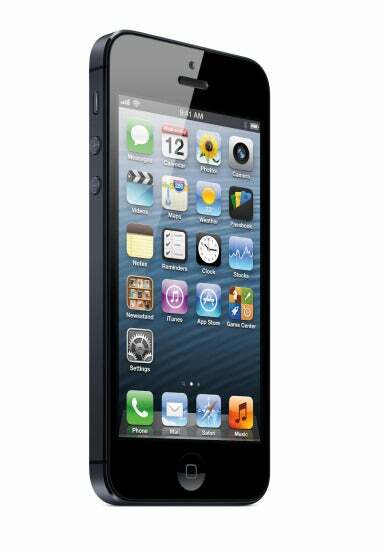 The iPhone 5 sports a 4-inch screen. That’s a change from every prior iPhone, which used a smaller 3.5-inch screen. Screen measurements look at the diagonal length, and the iPhone 5’s screen isn’t any wider than its predecessors—just taller. As a result, Apple packed a fifth row of icons onto the iPhone 5’s home screen. The screen also packs in a lot of pixels—326 pixels per inch, as a matter of fact, on a 1136×640 display. And that means more room for your apps: Apple is redesigning all of the built-in apps that ship with the iPhone to fit more data on the new model’s larger screen. Does that mean my current apps are going to need to be rewritten to work on the new iPhone? Only if they want to also get more information on the screen. Wednesday’s press event, for example, featured demos of an updated OpenTable app for the iPhone that brought in a lot of elements from the iPad version’s interface. As for existing apps, they’ll work just fine on the new iPhone, even without an update. But they will feature black bars around the edges—on the side for apps running in landscape mode, on the top and bottom in portrait orientation—to fill in the extra screen space. On the bright side, old apps won’t need to be stretched or scaled when they run on the iPhone 5. With the bigger screen, the iPhone 5 must be awfully heavy, right? Not so! It’s actually slimmer and lighter than the iPhone 4S, Apple says. 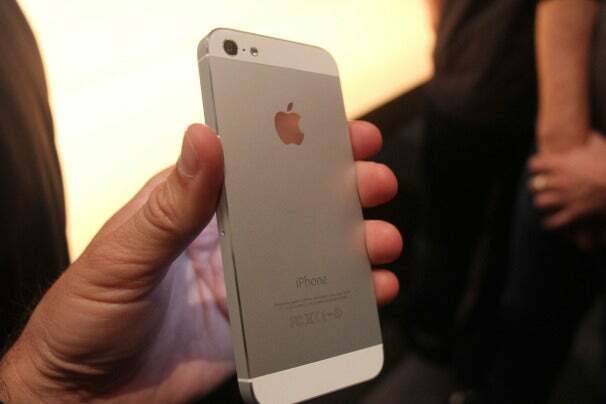 The iPhone 5 is just 7.6mm thick, and weighs 112 grams. Is that it? Just taller? No other under-the-hood changes? 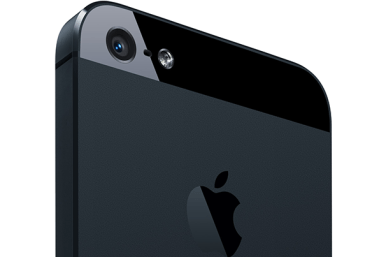 Both cameras—the front- and rear-facing ones—are updated on the iPhone 5. The networking—both wireless and cellular—is improved, with new LTE support and Bluetooth 4.0. The audio’s better, and there’s a new dock connector port called Lightning, too. Break it down for me. Start with the cameras: What’s new there? The rear-facing camera gets an update with a new dynamic low-light mode and sapphire lens cover, and leverages image processing technology new to the A6 chip. The front-facing camera gets an upgrade, too; it’s now a FaceTime HD 720p HD camera. The iPhone 5’s camera allows you to take photos while you’re shooting video, which is a first for an iPhone. That sapphire lens cover should not only protect the lens, but also make images look cleaner and sharper, Apple claims. And, along with the iPhone 4S in iOS 6, the iPhone 5 offers a built-in option called Panorama, for taking stitched-together panoramic shots. You mentioned improved networking and LTE support? Indeed, we did. New to the iPhone 5 is support for LTE. That’s on top of the GPRS, EDGE, EV-DO, HSPA, HSPA+, and DC-HSDPA options the iPhone 4S already offered. 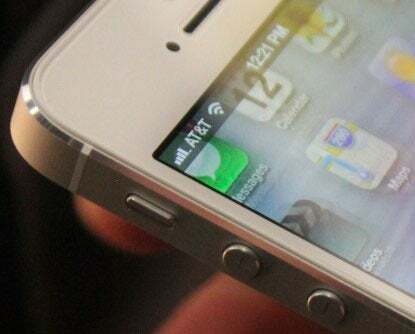 With LTE support, the iPhone 5 can connect to the fastest cellular networks in the U.S. Apple offers a webpage detailing the precise breakdown of which U.S. carriers support which LTE networks. The AT&T iPhone 5 supports only two LTE bands; the Sprint and Verizon model supports five. If you plan to travel internationally and want your iPhone to work on European or Asian cellular networks, note that AT&T’s model won’t do for you. LTE partners for the iPhone 5 include Sprint, AT&T, and Verizon in the U.S, and Rogers, Fido, Bell, Telus, and more in Canada. Schiller said there are “plenty” of LTE partners in Asia, Australia, the UK, and Germany, with lots of DC-HSDPA support in Europe as well. That’s a very prescient question. The answer is yes. 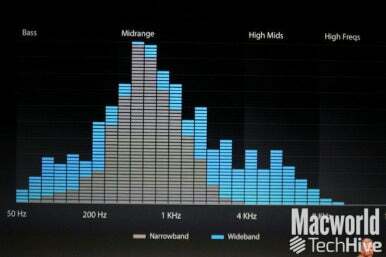 The iPhone 5 supports 802.11 a/b/g/n standards, and works on both the 2.4GHz and, for the first time, 5GHz spectrums. 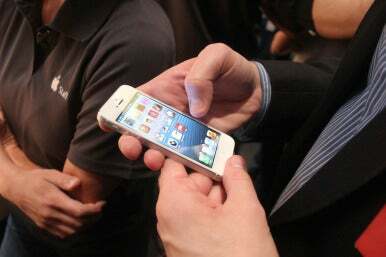 Apple claims that gives the iPhone 5 a maximum theoretical download speed of 150Mbps. That LTE technology and larger screen must be a massive battery drain. What’s battery life like? We haven’t yet gotten our hands on an iPhone 5 to put the battery through its paces. But Apple claims that the iPhone 5’s battery actually lasts longer than the iPhone 4S’s. The company says that you can expect eight hours of 3G talk time, browsing, and LTE browsing; ten hours of Wi-Fi browsing; ten hours of video; 40 hours of music; and 225 hours of standby time. 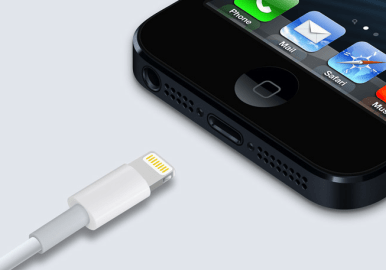 Lightning is Apple’s name for the new 8-pin, all-digital connector in use by the iPhone 5 (along with several new iPods). It replaces the 30-pin dock connector of old. Apple says that the Lightning technology is more durable than the dock connector it replaces. The plug is reversible, like a MagSafe adapter, meaning you don’t have to worry about which way is up. So I guess my old accessories are worthless now? Depends on what you’re willing to spend. Apple’s offering a pair of Lightning adapters: A $29 dongle that plugs into a Lightning port on one end, and offers a dock connector port on the other, and a $39 cable that does the same thing. Without at least one of those, yes, your old docks, chargers, and cables are about as useful as a SCSI terminator. Obviously, AirPlay speakers will continue to work with the iPhone 5 just fine. If you have any old iPhone 4/4S cases lying around, unsurprisingly, those won’t fit the taller iPhone 5. What if I want to output iPhone 5 video to a TV? What are my options? As with the 30-pin connector, the Lightning connector supports video output; Apple told Macworld that Lightning-to-HDMI and Lightning-to-VGA cables will be available “in the coming months.” In the meantime, you’re restricted to AirPlay. Until those cables appear, if you want to show pictures or video from your iPhone on the big screen, you’d better have an Apple TV hooked up. You mentioned something about audio improvements? The iPhone 5 is the first iPhone with three microphones: One on the front, one on the back, and one on the bottom. Apple says that they work in tandem to improve noise cancellation and voice recognition. The earpiece includes better noise-cancellation now, too, Apple says. The iPhone 5 still, like its predecessors, sports a mono speaker, but Apple says that speaker is improved, with better frequency response and better sound. With certain carriers—though none in the U.S. so far—the iPhone 5 will support wideband audio, which should make your voice sound more normal to folks on the other end of the conversation, unlike the typically compressed sound associated with most cellphone calls. And I think I heard something about new headphones, too?